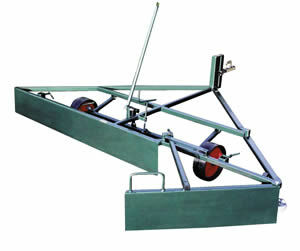 single opening plate (three point linkage), which has one high impact wheel to protect the kick boards. 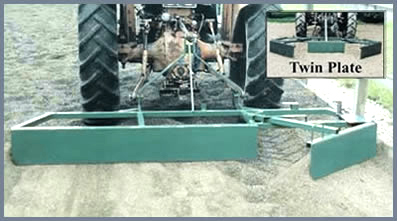 To break up compaction or where a raked finish is required. Available for the all above models and fully adjustable for depth control. All our levellers are available as standard powder coated green, in hammered finish or galvanised as an optional extra.